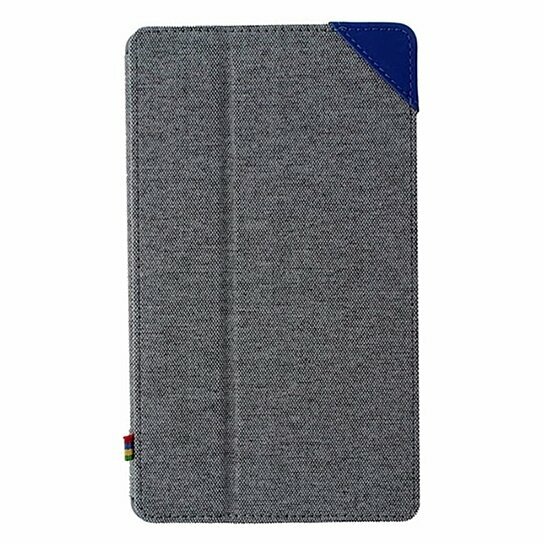 Google accessories, Hardshell Folio Case for the Asus Google Nexus 7 Tablet. Grey fabric exterior and gray hardshell backing with Blue trim and interior lining. Full access to camera, buttons, and ports. Converts into two display modes for typing and viewing.